October 28, 2014. The Google Culture Academy has launched a joint project with the Trinity-Sergius Lavra in the beginning of October, 2014. With the help of the Street View technology, the interior and exterior territories of the Lavra have been completely digitized. 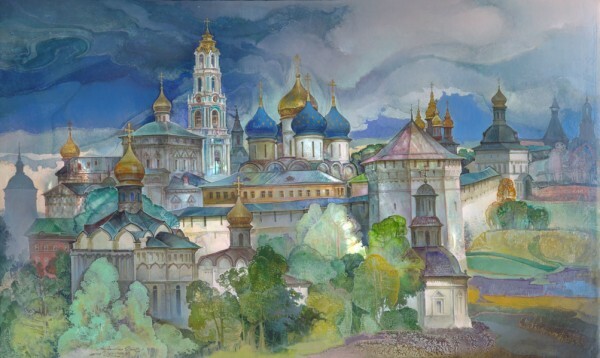 People all around the world are now able to make a virtual journey to the monastery and have a look inside its churches, examine world-famous icons painted by Andrei Rublev, and a silver shrine with the Holy Relics of the Venerable Sergius; and also to learn more about the construction and the development of the monastery after having visited this digital exhibition. The Lenta.ru website has reported that Google has digitized hundreds of museums all around the world, including the Palace of Versailles, the State Hermitage, the Museum of Modern Art in New York, and the National Gallery of Australia in Canberra. The State Hermitage Museum was one of the first to take part in the Google Art-Project. Only recently a joint project with the largest literature museums has been implemented. Those museums are the State Literature Museum, the Pushkin Museum, the Mayakovsky Museum, the Bulgakov Museum, and others. Eight museums are now available to Internet users around the world. With the help of the “Literary Moscow” interactive map, everyone is able to learn about places associated with the above mentioned writers all by themselves.